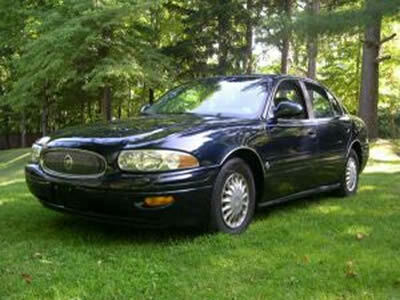 In addition to Buick car classifieds, you can find crossovers and luxury Sedan Buicks. Buicks are known as being luxury vehicles, but they are low end luxury. So they are generally less expensive than other luxury models, but more expensive than non-luxury models. They are actually a great make to get, because you get a quality vehicle at a quality price. I was actually looking at a nice used 2004 Buick LeSabre for under 10k, and it sounded like a pretty good deal. Must have been, because somebody bought it before I could even go check it out at the lot! Buick is a brand of GMC, which only furthers my theory that all vehicle companies ultimately own one another. They are the oldest active American make of car, but since all makes own or are owned by one another as per my theory, this is essentially meaningless. I’m trying to add a bit more levity in my posts.. Hope you got my humor there. So Buicks are a great car to look at if you’re looking for something cheap, but good.. which is what most people are looking for anyway. Below are a couple models we have reviewed ranging from the 70′s to the new millenium. This entry was posted in Car Classifieds. Bookmark the permalink.